If you are learning German as a second language, you are probably aware of communication barriers in different regions of Germany, as well as other German-speaking countries such as Austria and Switzerland. 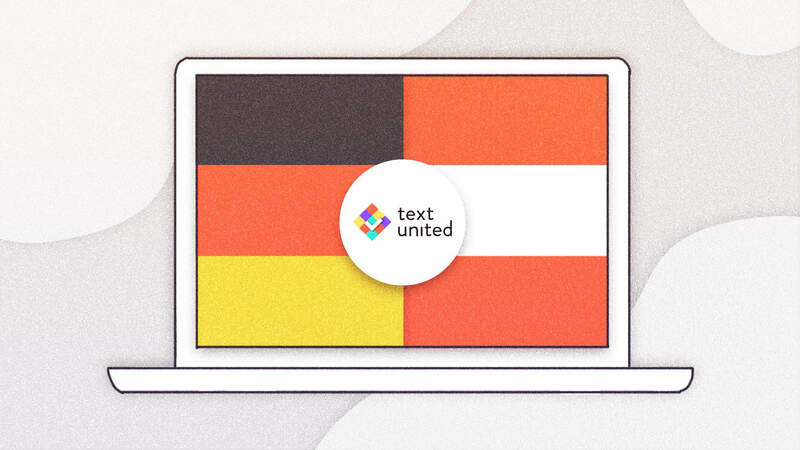 Today, we will talk about German vs Austrian language differences, how they influenced other countries as well as discuss how they can influence the localization process. While Text United is a Vienna-based company, we also have a second office in Sarajevo, Bosnia and Herzegovina. In many ways, Austria and Bosnia and Herzegovina are intertwined. One of the aspects which will help us with today’s article is Austria’s linguistic influence on Bosnian that perfectly displays the differences between German and Austrian. For example, the majority of car machinery vocabulary is borrowed from German. Hauba, anlaser, gepek, are all words which German speakers will be able to identify and understand as haube, anlasser, gepäck (hood, starter, luggage). This only becomes more evident if you dig deeper, and look at words, such as escajg, šarafciger, morgen, trafika, paradajz, palačinke, karfiol or faširano. Their German equivalents would be, obviously, Esszeug, Schraubenzieher, Morgen, Trafik, Paradeiser, Palatschinken, Karfiol, and Faschiertes (meal kit, screwdriver, morning, tobacconist, tomato, pancakes, cauliflower, and minced meat). German speakers will start seeing the pattern in the above-listed words. Words such as Trafik, Paradeiser, Palatschinken, Karfiol, and Faschiertes are not used in Germany, but in Austria, and this is how you can clearly tell that Bosnian was influenced by Austrian German. In German, as spoken in Germany, these words would be translated into Kiosk, Tomaten, Pfannkuchen, Blumenkohl, and Hackfleisch. Why are language differences important? As always, if you are localizing your content into German, you need to know your target audience. If you want to access the Austrian market, be aware that there are things which set German German (de_DE) apart from Austrian German (de_AT). The differences in spoken German are even greater, but I believe that most of you will only be influenced by the differences in the written variants of the German language. nicht wahr? – gell? -right? Last time we spoke about words in European Spanish that would sound weird to a Latin-American Spanish speaker. In the case of German German vs Austrian German, it’s similar – there are small differences between the two. While the speakers of both variants will understand the meaning, it’s usually little things that determine whether a customer will feel drawn to your product or service. Do you have questions about localizing your product for the Austrian or German market? Feel free to reach out to us – we will gladly discuss and set up a translation project that will help you conquer your target market of choice.